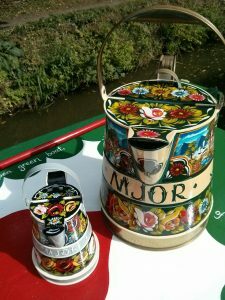 Buckby cans, named after a Northamptonshire village, were used on working narrowboats to carry drinking water. 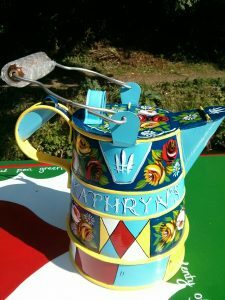 Today’s leisure narrowboats have a large water tank onboard, so the need to haul a full Buckby can has largely disappeared. 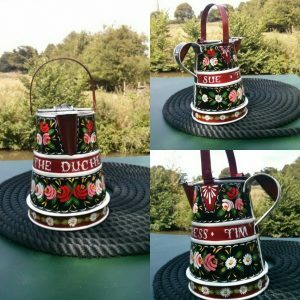 Buckby cans remain a lovely decorative item and are a reminder of the hard lives of the families on the old working boats. The cans come in a range of different sizes. 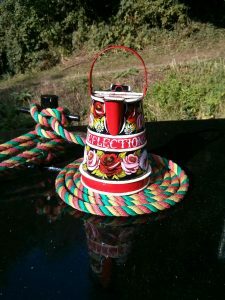 I usually have some mini Buckby cans in stock – these hold about 2 pints (just over a litre) of liquid and stand 26cm high, with the handle up. 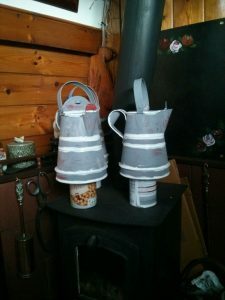 They are the perfect size for inside a boat or a house. 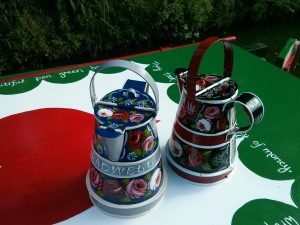 I decorate with roses and daisies, and of course you can also have these cans personalised (included in the price). However, due to their size please remember that space is limited! 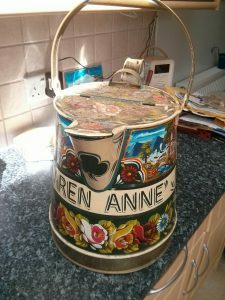 The price for a 2 pint can is £45 plus £3 postage. 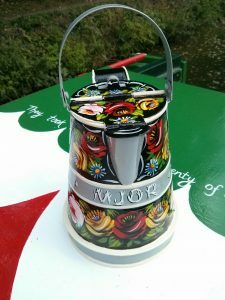 I am also happy to paint larger Buckby cans, usually the largest one holds 3 gallons of liquid. I do have to order the ‘raw’ can, so please bear this in mind when ordering. 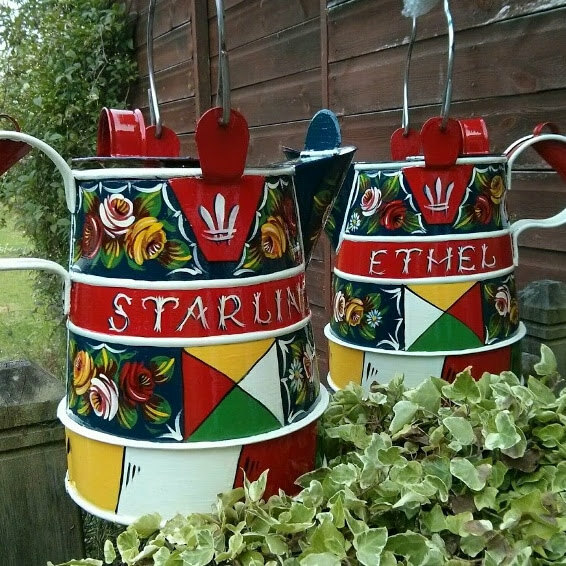 As with all my can painting I use primer before undercoating, top coats and then decorating. I finish with clear varnish. 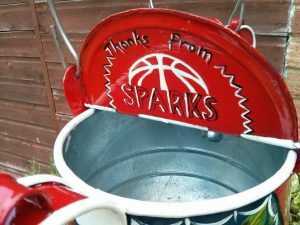 You can leave Buckby cans outside, however please remember that sunshine, rain and wind will eventually weather the paint away. If you already have a Buckby can that is looking a little tired I am happy to do some restoration work for you. Recently, I renamed a 2 gallon can, and repaired some of the flowers that were falling away. Contact me for more details.